OMG, I Used To Have A Scarf In The Same Ballerina Print As This Vintage Lingerie! I still might have the vintage scarf, packed away someplace… If I knew for certain, I’d snap-up this vintage lingerie set in the same ballerina print! 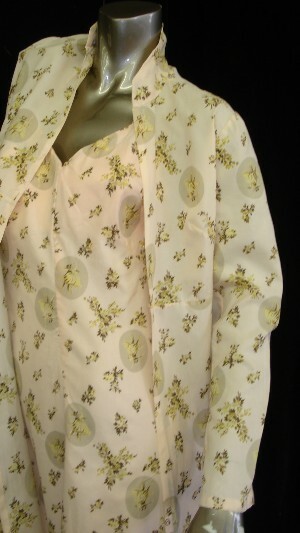 This vintage nightgown and peignoir robe in a pretty ballerina print is made of rayon; tips on caring for vintage rayon fashions can be found here. Images via Andapanda’s Vintage Clothing.